The biggest decision is whether to have a cloud based or in house server infrastructure. While it may sound like a black-or-white selection, there are many things to consider. The first factor is how important up-time is to your business. Cloud solutions are usually more expensive than in house, but the benefits of being in the cloud can far outweigh the costs for some businesses. For example, an online business that is reliant on web-based transactions will consider up-time an extremely important factor; therefore, they will likely be willing to pay more for a cloud based solution that can guarantee a certain level of up-time. Other businesses not as dependent on up-time may be more suited to an in house set up. 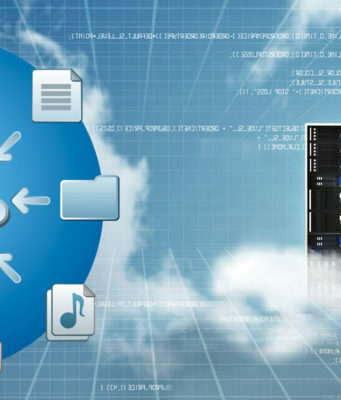 Cloud based services are becoming more and more popular among small and medium sized businesses owing to the significant reduction of the overall costs for storage and bandwidth associated with cloud computing. Even though the cloud based solutions seems to be the best available cost effective alternative, SMBs should ideally evaluate the impact of cloud migration on a regular basis. There is no one-solution-fits-all model and there is certainly no right or wrong answer whether to choose between cloud hosted or in-house solutions. But these nuggets of information will provide you with the edge while contemplating your decisions. Security can be considered to be the single most element that is complicated as well as expensive to maintain, especially for small businesses. In a cloud-based service, security solutions will be managed by experts that focus on full-time monitoring and management of security deployment systems. They would ideally adopt the most modern and efficient techniques to safeguard their client’s data as well as their good will. Maintenance of the same level of security would be difficult for small businesses that utilize in-house servers. But with cloud based solutions, SMBs can also avail the same security benefits like their competitors. Whether to host critical business application on cloud or not is an increasingly compelling dilemma. The ease of availability and accessibility of business applications and services over the internet through web browsers benefits employers as well as employees with flexibility, reduced costs, instant installations and simplified maintenance. While considering in-house solutions for hosting applications and services, availability, data portability, expenses and interoperability will have to be compromised. No need for onsite hardware or capital expenses. Well suited to rapidly growing companies that may outgrow their infrastructure too quickly. The user experience is limited by the speed of the Internet connection. Easily scalable; can be added to as needed. Solutions are often on-demand, so you only pay for the options you want. Third party cloud services could have direct access to your data. Workers can connect from anywhere, using any computer, tablet, or smartphone. Companies can implement BYOD (bring your own device) policies. If the Internet goes down on your side or on your cloud provider’s side, you won’t have access to any of your information. Data can be backed up in the cloud as regularly as 15-minute intervals, minimizing data losses in disaster situations. The costs can outweigh the benefits for companies not as dependent on uptime. Gives you physical control over your server. Requires a capital investment in hardware and infrastructure. Keeps critical data in-house; no third party has access to your information. Requires space in your office for rack space or a server room/closet, as well as dedicated IT support. No need to rely on an Internet connection for access to data. May be more susceptible to data loss during disaster situations due to in-house location. How often you take the data offsite will reflect how much data you’ll lose in an emergency. Can be more cost-effective for companies that are not as concerned about uptime. No uptime guarantees. Today, IT professionals are eager to focus on acquiring the best of both worlds, which is taking advantage of the possibilities that a hybrid or multiple solution offers. The hybrid solution allows the business owners to maximize their benefits from both cloud hosted as well as in-house server models. To adopt a hybrid approach, the small businesses can choose to migrate only critical applications or services to cloud. You will still have complete control over your on-premise applications and services which enables you to choose the best options depending on your business as well as infrastructure requirements. Ease of adding capacity for your business to grow. “Renting” a small piece of a highly reliable system that would be too expensive to replicate on your own. Issues you may experience with the provider may be their responsibility to resolve. In the case of backups, you don’t have all of your eggs in one basket.